Earn upto Rs 60 per app install On Flipart..! If you have got an affiliate account for Flipkart, then here is a good deal waiting for you. Also, getting the approval account is not that tedious. 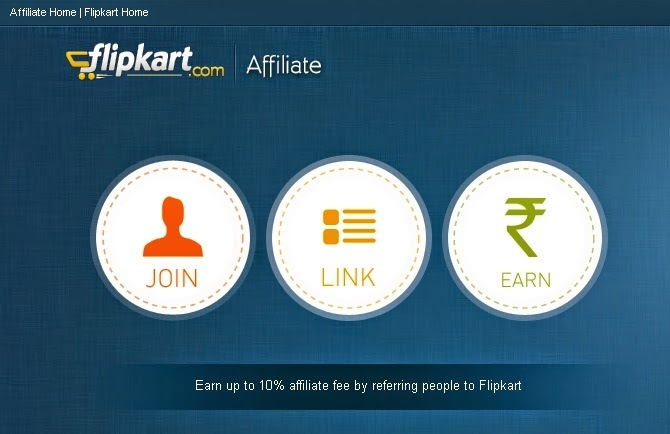 To target android app users, Flipkart has started referral program. It is little bit similar to Snapdeal refer& earn As we saw earlier. 1) Login to your Flipkart affiliate account and you will see something like this on home page. 2 Just scroll down the page and copy affiliate url for Flipkart app install campaign. Now, share this url with your friends and ask them to download the app. (Applicable only for new or first time installs). · Fallback installs : user clicks on any flipkart url on mobile and ends up with installing the app. 2. In the form of EGV (E- Gift Vouchers), which can be used for instant discounts on shopping. Sharing Is caring... So, Do care!